Hope is Power. The slogan for Amnesty International. 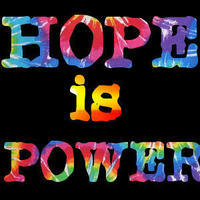 Images in the Human Rights club tagged: hope is power amnesty international human rights icon rainbow tie dye.